Premature babies are those who are born before 37th week of pregnancy. They constantly require special attention and care because they are born before they have developed properly. In the following paragraphs we will deal with some facts about premature birth and care for premature babies. The trend of premature births is on increase. In fact, premature births account for about 8-10 percent of all pregnancies in the United States. This is a huge problem as preterm babies are carrying a risk of different health problems. As already said, babies who are born before 37 weeks of gestation are termed as premature. Normal pregnancy lasts for 40 weeks. During this time, a baby’s organs develop and mature inside the mother’s womb. However, if preterm delivery takes place the baby may face variety of complications due to underdeveloped organs which fail to function properly outside the womb. Premature babies are most commonly admitted to the newborn intensive care unit (NICU) where they are closely monitored and treated. The cause of premature birth is unknown. Because of that it is difficult to prevent preterm delivery and predict which pregnancy will end up with preterm delivery. However, some risk factors for an early birth are known. They include smoking, alcohol and substance abuse, ethnicity, short intervals between pregnancies, stressful gestation period, exposure to certain pollutants and being pregnant with multiple fetuses. Medical conditions affecting the mother such as periodontal disease, very high blood pressure, diabetes and severe illness may also trigger premature delivery. The most common complications seen in a premature baby are lung problems as the lungs are the last organ to develop. Respiratory distress syndrome is the most common complication caused by immature lungs. Premature babies require oxygen therapy until their lungs completely mature. Other common complications include feeding difficulties, underdeveloped gastrointestinal and digestive system, anemia, inability to maintain body heat, apnea and bradycardia, jaundice and infection. Hearing problems and vision problems such as retinopathy of prematurity may occur too. Serious complications of preterm birth include blindness, deafness, learning disability, developmental delays and cerebral palsy. 84% of preterm deliveries occur within 32-36 weeks of gestation, 10% of pregnancies end between 28 and 31 weeks of gestation and 6% of babies are born before 28th week of pregnancy. Preterm birth is the leading cause of death in newborns. 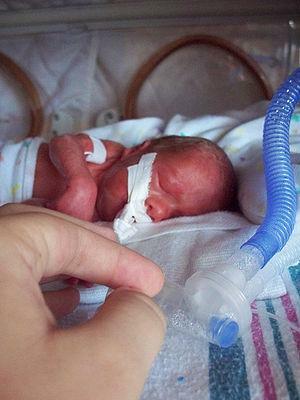 About 550,000 premature babies are born each year in the United States. African-American women as well as women younger than 18 years and older than 35 years have increased risk of having premature baby. Can I Get Pregnant And Stay Pregnant With A Unicornuate Uterus?